Joan T. Shubatt, 86, died peacefully Thursday, March 28, 2019 surrounded by her loving family. A Memorial Service to celebrate Joan’s life will be held at 11 AM, Tuesday, April 2, 2019 at Lensing Funeral & Cremation Service, Iowa City, with the Very Reverend Rudolph Juarez officiating. Family committal services will be at Oakland Cemetery. Visitation will be Tuesday from 9 to 11 AM at the funeral home. In lieu of flowers, memorials may be directed to the Joan Shubatt Memorial Fund. Joan was born March 29, 1932 in Chicago, the daughter of Joseph and Theresa (Creed) Neeb. She was a graduate of Harper High School in Chicago. On March 7, 1953 Joan married Jack Shubatt in Long Beach, CA. They moved to Iowa City in 1956. 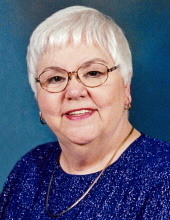 Joan is survived by her husband, Jack and their four children, Gary (Cindy) Shubatt of Cedar Rapids, Robert (Pat) Shubatt of Inver Grove Heights, MN, Susan Spilger (Tom Jackson, life partner) of Iowa City, and Michael Shubatt (Amy Gilligan) of Dubuque; ten grandchildren, Scott, Jamie, Rachel, Amy, Ryan, Jack, Cassidy, Sophia, Isabel and Elijah; and six great grandchildren, Wesley, Amelia, Winston, Owen, Mercy and Jack. Joan was preceded in death by her parents and three sisters, Vivienne McWilliams, Carole Walston and Marilyn Birnie. To send flowers or a remembrance gift to the family of Joan T Shubatt, please visit our Tribute Store. Luncheon will follow the service next door, at The Kirkwood Room. "Email Address" would like to share the life celebration of Joan T Shubatt. Click on the "link" to go to share a favorite memory or leave a condolence message for the family.